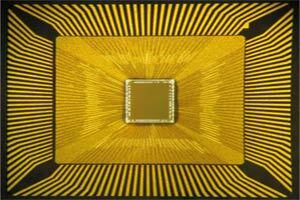 IBM unveiles a new generation of computer chips designed to emulate the brain’s abilities for perception, action and cognition. This new technology may reach to full Artificial Intelligence. For example, a cognitive computing system monitoring the world’s water supply could contain a network of sensors and actuators that constantly record and report metrics such as temperature, pressure, wave height, acoustics and ocean tide, and issue tsunami warnings based on its decision making. Similarly, a grocer stocking shelves could use an instrumented glove that monitors sights, smells, texture and temperature to flag bad or contaminated produce. Making sense of real-time input flowing at an ever-dizzying rate would be a Herculean task for today’s computers, but would be natural for a brain-inspired system.